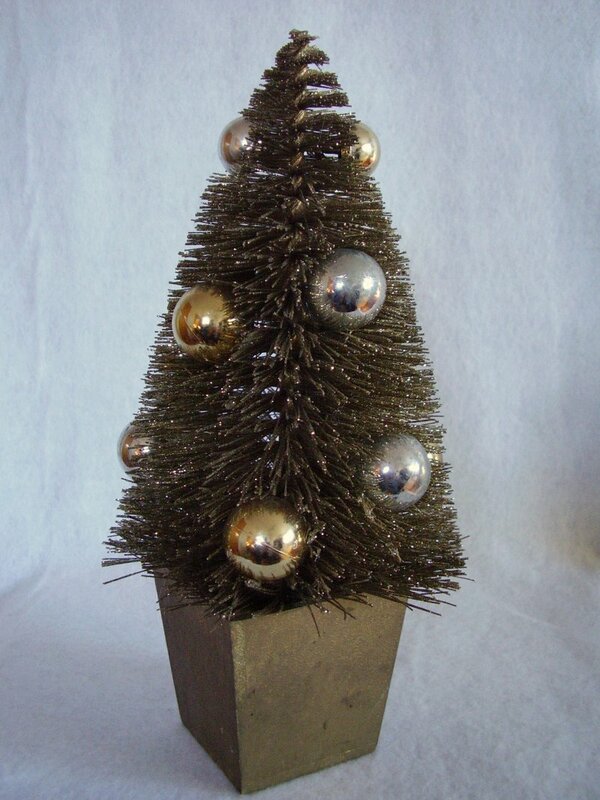 Gold bottle brush Christmas tree. Tree measures 11 1/2 inches tall x 5 inches in diameter. 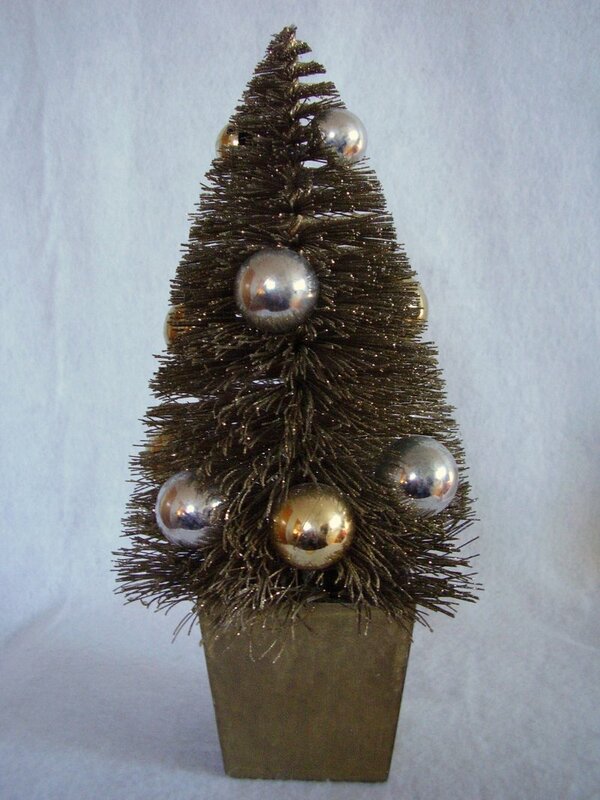 In gently used condition, there may be a few bent branches and a couple of ornaments give the appearance of being tarnished. 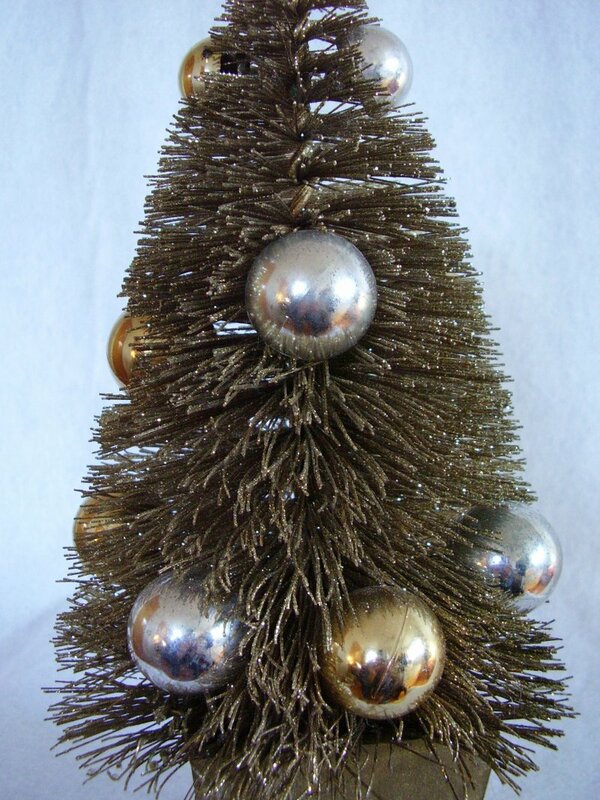 Gold bottle brush Christmas tree. 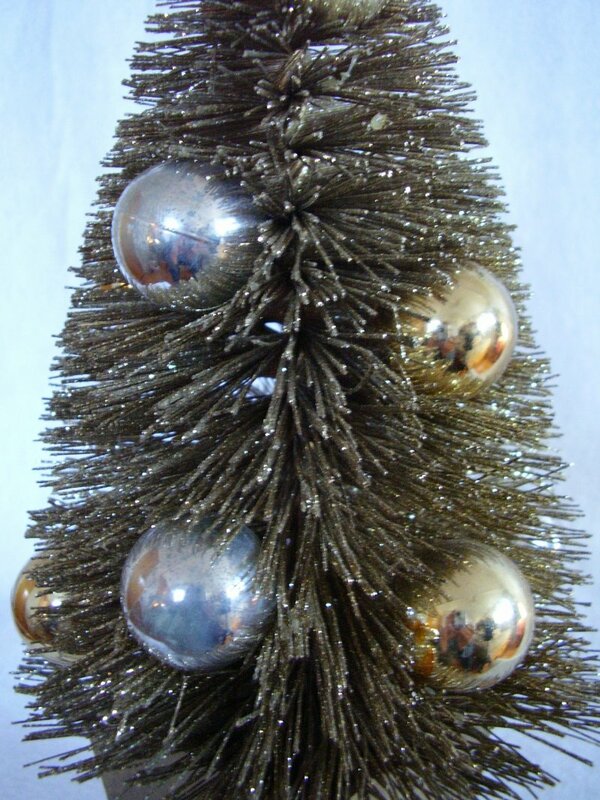 Gold colored branches are are covered with tiny gold glitter and is decorated with multiple plastic gold and silver ornaments. Base appears to be gold painted wood made to resemble a pot. 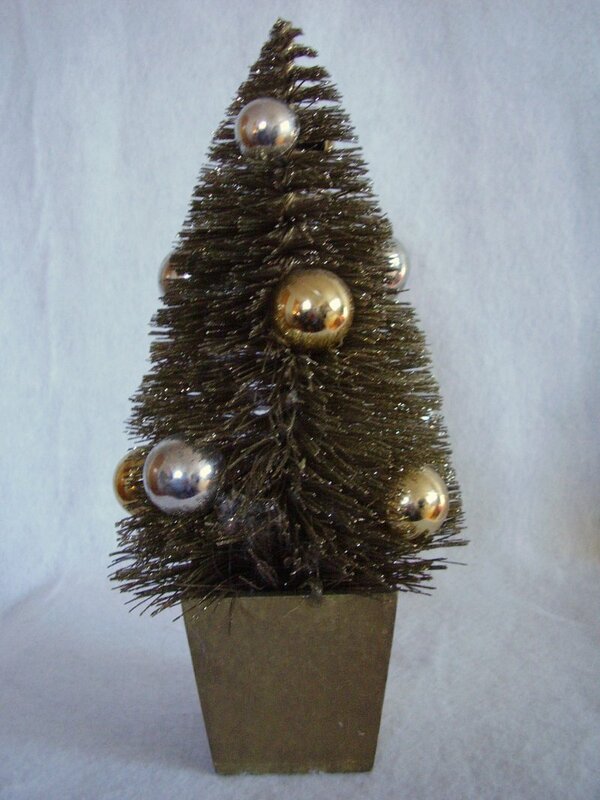 Tree measures 11 1/2 inches tall x 5 inches in diameter. 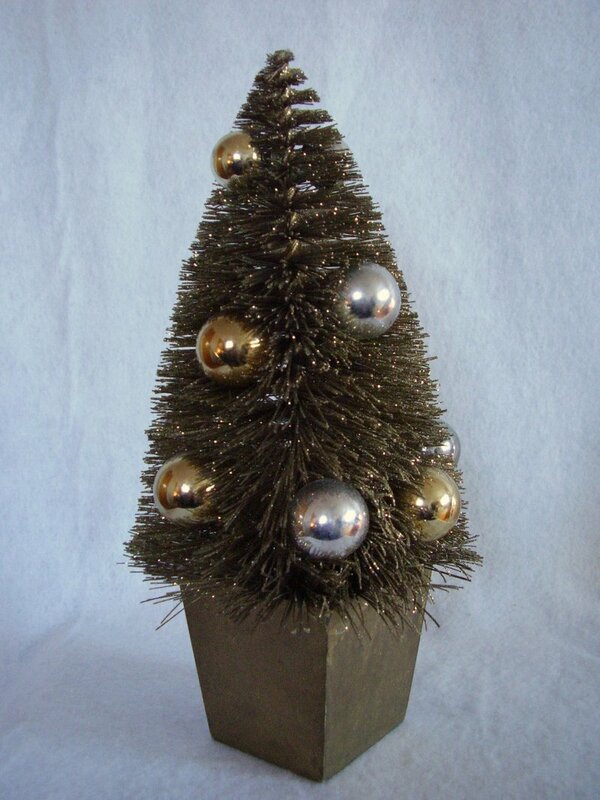 In gently used condition, there may be a few bent branches and a couple of ornaments give the appearance of being tarnished.